Rowman & Littlefield Publishers, 9781442231672, 186pp. Requests for the removal, relocation, and restriction of books--also known as challenges--occur with some frequency in the United States. 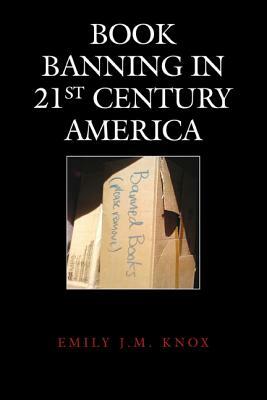 Book Banning in 21st-Century American Libraries, based on thirteen contemporary book challenge cases in schools and public libraries across the United States argues that understanding contemporary reading practices, especially interpretive strategies, is vital to understanding why people attempt to censor books in schools and public libraries. Previous research on censorship tends to focus on legal frameworks centered on Supreme Court cases, historical case studies, and bibliographies of texts that are targeted for removal or relocation and is often concerned with how censorship occurs. The current project, on the other hand, is focused on the why of censorship and posits that many censorship behaviors and practices, such as challenging books, are intimately tied to the how one understands the practice of reading and its effects on character development and behavior. It discusses reading as a social practice that has changed over time and encompasses different physical modalities and interpretive strategies. In order to understand why people challenge books, it presents a model of how the practice of reading is understood by challengers including "what it means" to read a text, and especially how one constructs the idea of "appropriate" reading materials. The book is based on three different kinds sources. The first consists of documents including requests for reconsideration and letters, obtained via Freedom of Information Act requests to governing bodies, produced in the course of challenge cases. Recordings of book challenge public hearings constitute the second source of data. Finally, the third source of data is interviews with challengers themselves. The book offers a model of the reading practices of challengers. It demonstrates that challengers are particularly influenced by what might be called a literal "common sense" orientation to text wherein there is little room for polysemic interpretation (multiple meanings for text). That is, the meaning of texts is always clear and there is only one avenue for interpretation. This common sense interpretive strategy is coupled with what Cathy Davidson calls "undisciplined imagination" wherein the reader is unable to maintain distance between the events in a text and his or her own response. These reading practices broaden our understanding of why people attempt to censor books in public institutions. Emily Knox is an assistant professor at the Graduate School of Library and Information Science at the University of Illinois at Urbana-Champaign. Her research interests include intellectual freedom and censorship, information ethics and policy, and print culture and reading practices.